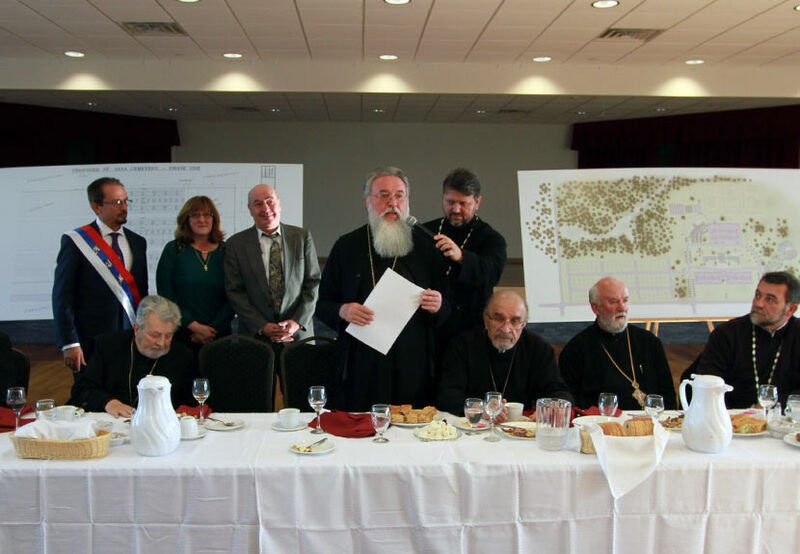 The following are remarks shared by His Grace Bishop Longin of the New Gracanica and Midwest America Monastery during the luncheon immediately following the Groundbreaking Ceremony for the new Orthodox Cemetery that will be developing at St. Sava Serbian Orthodox Church where phase one of the project is estimated to be nearing completion in the Spring of 2017. It is always nice and pleasing to come here and visit you, serve in your beautiful church, and pray for those who have departed and for you here still living who support your parish. It is very important that we keep the tradition of caring for the graves of those loved ones buried in a cemetery. 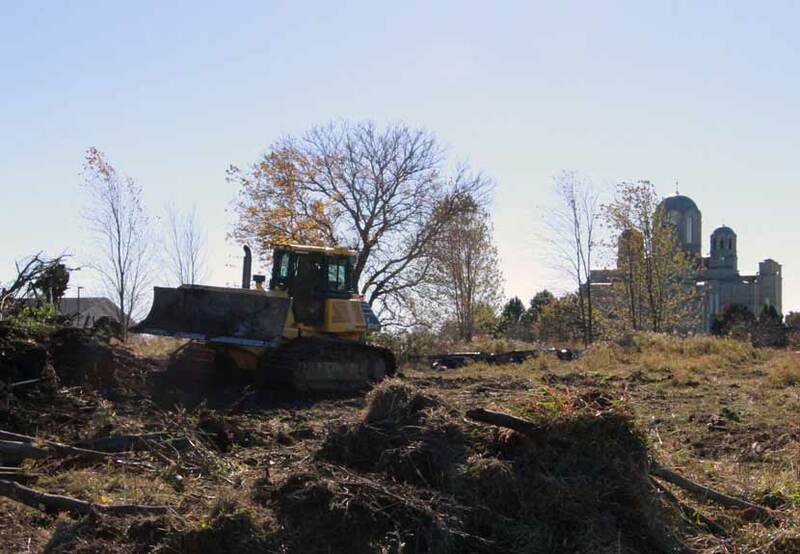 Starting this cemetery not only for your own needs, but for the whole Orthodox community here is a great challenge. But that reveals something deep in you. That you are all ready to make the church grow. Everyone who will come here to the cemetery in the future will learn a lot about our history, about our faith, and about the personal efforts of the people who established this parish church and cemetery, and maintained it. Jesus said, “I am not the God of the dead but of the living.” And all your fathers and mothers are not dead, but alive in God’s eyes. Our love for them does not allow them to remain dead but keeps them alive. Thank you for being good Christians and Serbian Orthodox. I pray that Holy Orthodoxy continues to be a priority and inspiration for our children and all of us. Thank you and God bless you! This is a gramata for Mike Ajder, who worked very hard as president of this church. One of his dreams was to build a cemetery here, not only for our people but for all Orthodox. This gramatta is a sign of our gratitude for Mike’s untiring efforts. Thank you Mike!